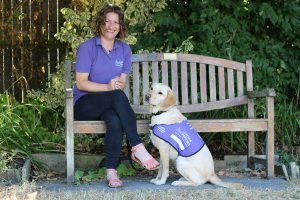 At Canine Partners we do our best to ensure all our candidates have a great experience when applying for a role with us, and it’s important to us that as a candidate you know what to expect from us before you submit your application. To work for us, you must be passionate about transforming the lives of people with physical disabilities. Our recruitment process gives you an opportunity to demonstrate your passion as well as your expertise and skills. It is very much a two-way process to ensure we recruit the right individuals but also for you to be confident that joining Canine Partners is the right challenge for you professionally and personally. We have high standards and this applies to our recruitment and selection processes. Our HR team will ensure that your application is dealt with efficiently and confidentially and will remain secure at all times. If you have any particular needs to enable you to fully participate in the recruitment process, please let us know and we will do all we can to assist you. Please see our FAQs for more information. We want your transition into your new role at Canine Partners to be as smooth as possible and we’ll make sure you have a great induction to the charity and your role when you join us. Joining a new organisation can be interesting and challenging. It may take you time to settle in, find your way around and become effective in your role. Your new manager will organise your induction to Canine Partners and any on the job guidance you might need, which is an important way of ensuring that both you and the team derive real benefit from your appointment. The aim is to enable you to perform effectively as soon as possible while making sure you get the support you need. Our leave year runs from 1 January to 31 December. When you start you will receive 25 days’ holiday, excluding public holidays. 3.5 days are taken during the Canine Partners’ Christmas shutdown and our employees tell us they really value the time off over the festive season. This will increase to 26 days after five years’ continuous service. Leave will be pro-rata for part-time staff and where you start part way through the year. We offer a defined contribution pension scheme run by Scottish Widows and will match your contributions up to 8%. Both our centres have beautiful countryside locations that are ideal for dog walks. Our rural locations make us unique; you’ll have the opportunity to take a walk in the countryside in your lunch breaks, either with a dog or without. Working in a peaceful countryside setting is something our employees really value. Did you know that according to studies, employees who bring pets to work show fewer signs of stress? Or that having pets in the office encourages a healthy work-life blend and a more relaxed atmosphere? We’ve had an established pets at work practice here at Canine Partners since the beginning and our Pet Dogs At Work scheme gives our employees the chance to bring their four-legged friends into the office. We think this helps all our employees be more productive, inspired and engaged. We work closely with our corporate sponsors, Nestle Purina Petcare, and are part of their Pets at Work (PaW) Alliance, so we can make sure our Pet Dogs At Work scheme is ‘pawfect’. We have addressed all aspects of the programme including dog welfare, legal implications, health and safety and insurance. You do have to apply to our Pet Dogs At Work team to bring your dog to work with you, but you don’t even need to own a dog to join in the fun – our pet dogs at work have plenty of love to hare around the teams. We value equality of opportunity at all levels and welcome applications which reflect the diverse communities that we are part of. Whatever your age, gender, disability status, sexual orientation, religion, ethnicity or family circumstances, we make sure you’re treated with fairness and respect. We have further underlined our commitment to equality of opportunity by successfully achieving accreditation for the Department of Work and Pensions’ Disability Confident Employer scheme. This demonstrates our commitment to employ, train, retain and develop the careers of employees with disabilities. Please see our FAQ for more details.